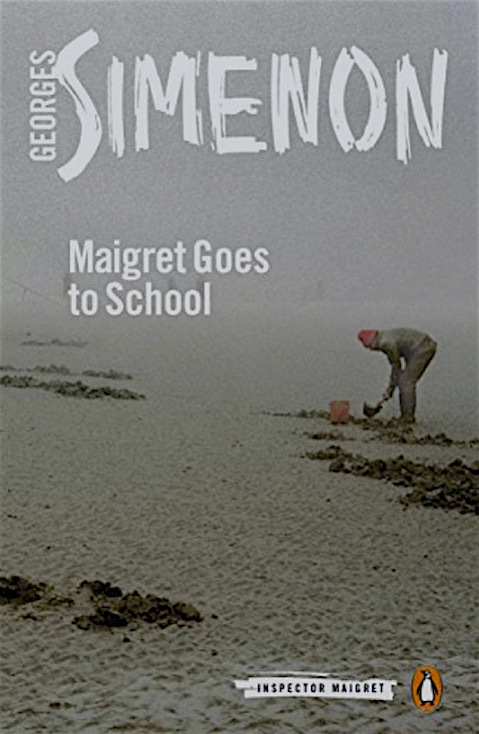 Maigret Goes to School, Penguin’s English translation of Simenon’s Maigret à l’école, will be available through Amazon.co.uk as of June 1, 2017. Both paperback and Kindle editions are being released. Because the paperback and Kindle editions will not be available from Amazon.com until January 2, 2018, the opportunity for early delivery of the paperback from the UK to the USA will appeal to some. In contrast, June 1, 2017 holds as the release date for the following other Amazon sources: Australia Kindle; Germany paperback; Italy paperback; Spain paperback. Unfortunately, the later January 2, 2018 release date pertains to these remaining Amazon sources: Brazil Kindle; Canada paperback and Kindle; China paperback; France paperback; India paperback; Japan paperback and Kindle; Mexico paperback and Kindle; Netherlands paperback. Be aware the ISBN-13 for this new edition is 978-0241297575, which should facilitate searching for the book from various other sources. Maigret à l’école originally appeared in 1954. Maigret Goes to School first appeared as an English translation in 1957. Its translator was Daphne Woodward then, and the translator is Linda Coverdale now. The original work was the 72nd in Simenon’s order of publication, and this work is the 44th in Penguin’s modern series of translations. 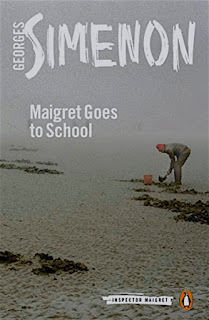 This novel interested me for the sprinkling of comparisons of the childhood experiences of Maigret with those of the teenagers who play important roles in the story. It is also an excellent example of how the Chief Inspector “puts himself in their shoes,” his tried-and-true method of conducting an investigation.